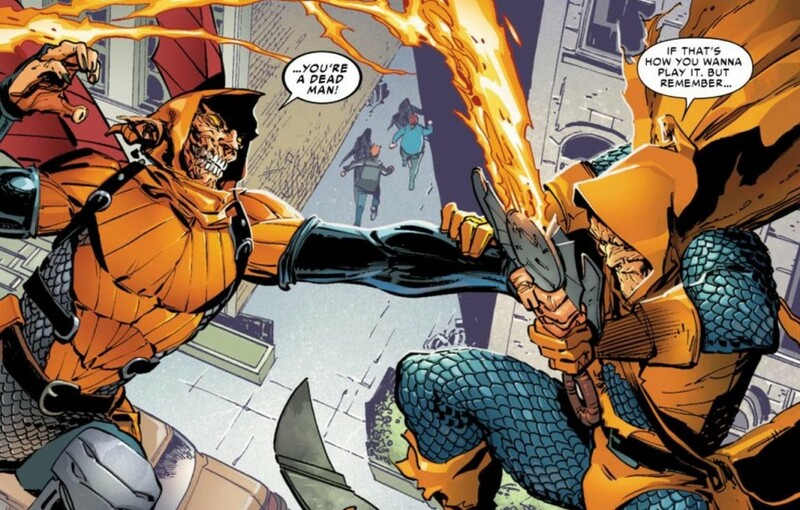 I’m a little embarrassed to admit this, but when I started reading Spider-Man comic books in the 1980s, I was a little late to the Hobgoblin party. Trust me, as a long-time collector and enthusiast, I understand why he was a big deal. 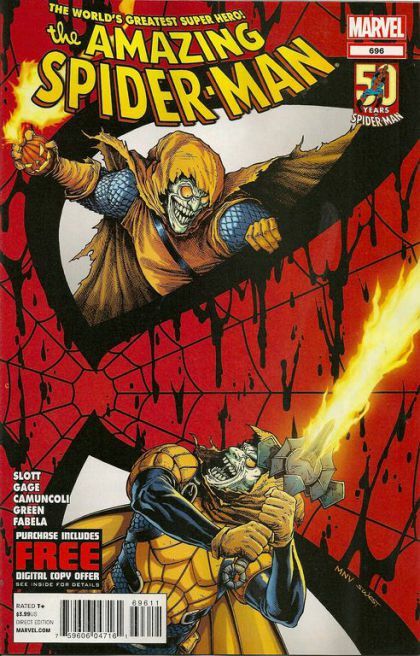 But since my first comic was ASM #296, Hobgoblin is always someone I’ve looked back on in retrospect, much in the way I viewed other major characters from the Spidey universe who were either dead, slowly phased out, or just generally past their respective creative team peaks, by the time I jumped on the train (like Gwen Stacy, Norman Osborn, etc.). So it’s with that caveat in mind that I can’t decide if my overall “meh” feelings to the “Danger Zone” arc in ASM was due in part to the story itself or my lack of emotional connection to Roderick Kingsley. The story certainly had some fun elements and there’s certainly plenty of set-up for the “Dying Wish” arc which I’m just now about to dive into (so again, no spoilers for those of you who buy your comics the week they come out like normal people). 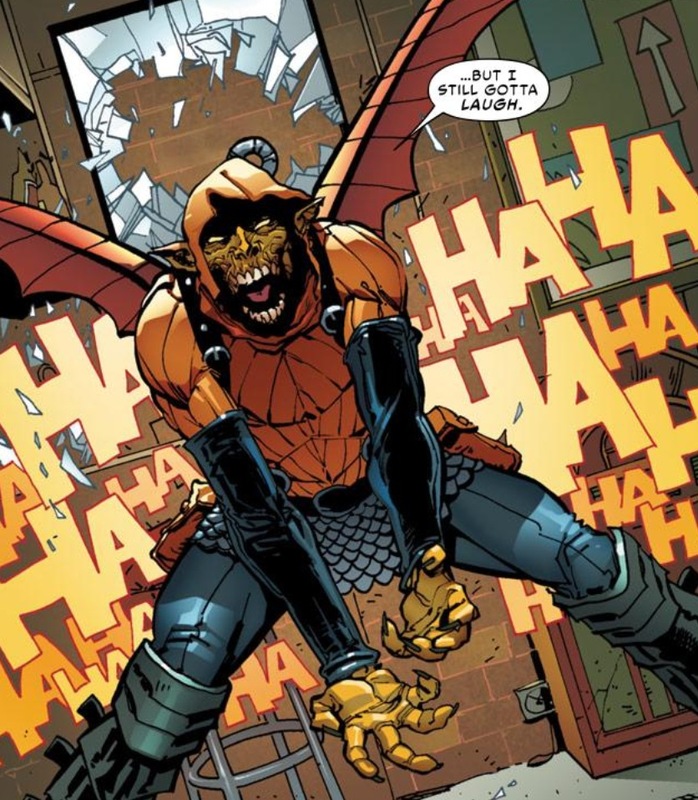 But considering the fact that Marvel decided to bring out arguably Spidey’s best new antagonist from the 1980s, I was expecting a little more bang for my buck rather than the inevitable New Goblin vs Old Goblin showdown that ultimately paved the way for the New Goblin to maintain his current role (and let’s be honest. 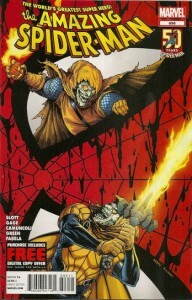 I’m not the only one out there who’s just not interested in Phil Ulrich as Hobgoblin). But maybe for some of you who experienced Roger Stern’s awesome take on Hobgoblin first-hand in the mid-1980s, these three issues were more than enough to get your nostalgic fix. I would never argue with that. It’s that kind of logic that always makes me more partial to Eddie Brock storylines than probably someone who first picked up Spider-Man comics years before there was such a thing as symbiotes. I even got more enjoyment than I probably had any right to have out of the recent Minimum Carnage crossover in Scarlet Spider and Venom (while, I’m certainly not a huge fan of Carnage, he was a BIG deal when he was first introduced and I really enjoyed the dynamic between an amoral Kaine and Carnage as opposed to Peter’s constant wishy-washiness). My guess is over the long-term, the most important material to be mined from these three issues can be found in the final pages of ASM #697 where Madame Web has essentially been reduced to a vegetable after projecting something very dire in Spider-Man’s future, and of course the disappearance of a certain patient named Norman. Speaking of Norman, was I the only one thought Peter was calling Walter White from Breaking Bad when he was trying to get the code from Harry to Norman’s booby-trapped goody-bag lair? 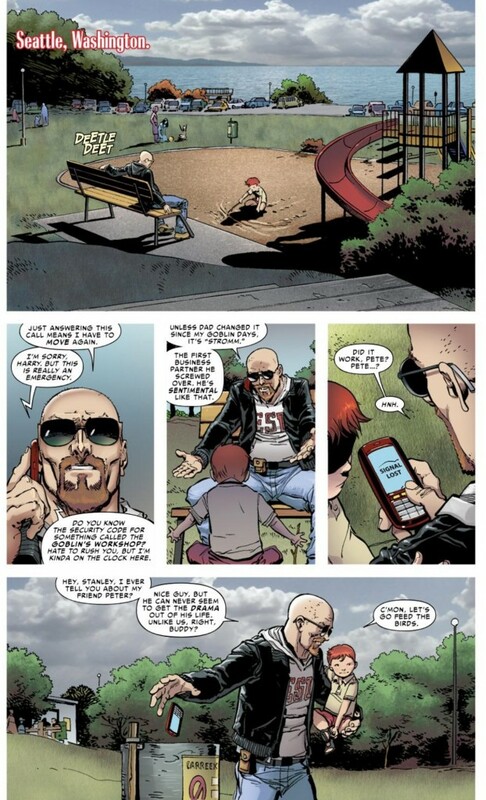 If I have permission to speculate here, the sudden presence of the Osborns could certainly make for an interesting conclusion to the ASM series in issue #700, though it doesn’t necessarily tie-in to the idea that this is something Dan Slott has been cooking for 100 issues dating back to ASM #600 (unless I’m being ignorant to a major Norman plotline after ASM #600?). I’m assuming Madame Web’s meltdown has a lot to do with the major plotline in ASM #698 that was sadly spoiled for me already, along with the very public idea that the new “Superior” Spider-Man will not be Peter Parker. I guess after last week’s post I should just be glad that as some of you have noted, Alpha’s fingerprints don’t seem to be anywhere close to all of the important events leading up to the big series final in two weeks.